BEd Honours 3rd-year 6th Semester form fill-up Notice Under the National University of Bangladesh for the session of 2018. All of the process will be completed by Online. 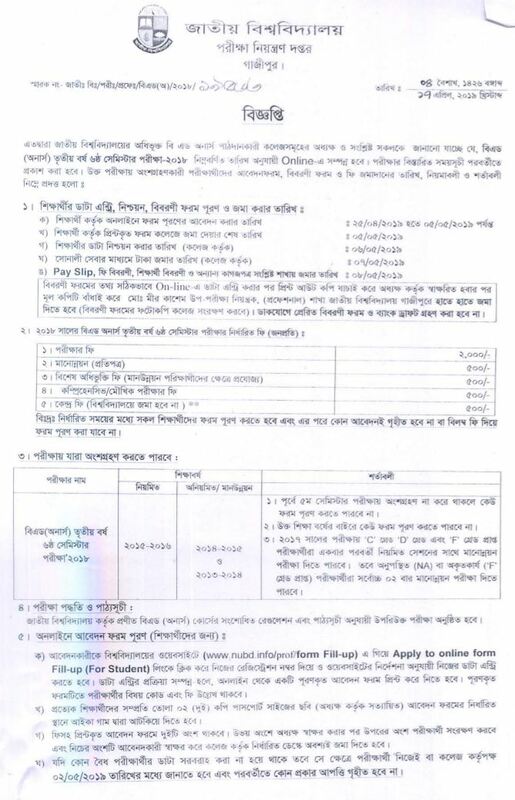 Online Application start date 25th April 2019 to 5th May 2019. Important date and time table of Bed Honours 3rd year 6th semester. Online Application will be starting on 25th April 2019. Last date of Online Application: 5th May 2019. Sunaly Seba: 7th April 2019.